The 2013-2014 FeederWatch count begins this weekend and continues through April 4th. It’s not too late to join. Participants can start at any time during the program. Anyone in the US or Canada with an interest in birds! FeederWatch is conducted by people of all skill levels and backgrounds, including children, families, individuals, classrooms, retired persons, youth groups, nature centers, and bird clubs. 1. Put up a feeder. 2. Count the birds that visit. 3. Send your data to scientists. Sign up for the Project FeederWatch program. There is a $15 fee which supports the program. Project participants receive a bird-identification poster, bird-feeding information, and instructional materials. This is a great opportunity to learn more about winter birds. Plus you will contribute to the science and conservation of North American feeder birds. FeederWatch results are regularly published in scientific journals and are shared with ornithologists and bird lovers nationwide. 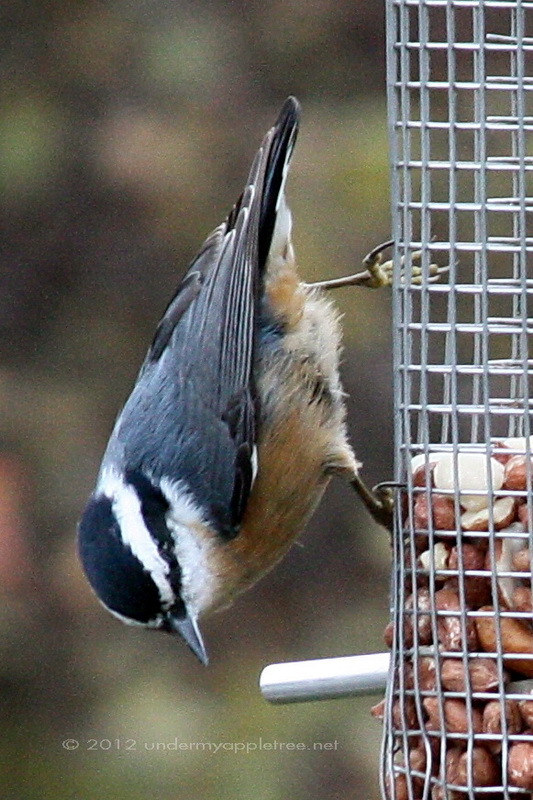 I’ve been participating for six years now and am still amazed at the variety of birds that visit my feeders. A large time commitment is not necessary. Counting can be for as long or as little as you like. Are you or someone you know participating? Reblogged this on LadyMin's Garden.